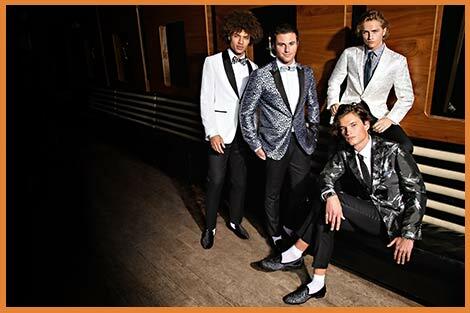 Tallia Orange, first established in 1893, is a menswear line owned and operated by Peerless Clothing International consisting of high fashion tailored clothing with “a less serious attitude”. Known in the menswear industry for their detail-oriented designs. Tallia Orange is a collection built on the basis of expressing individuality. It's a fresh concept in tailored clothing that encourages the consumer to express his own style through an exciting and unique array of fabrics, designs and colors. Tallia Orange has no competitors. There is no other brand that delivers this level of fashion with special details and unique styling in our price range. We have filled a niche in the mens and boys tailored clothing world.